Emigdio Vasquez Open Stock images are available in a variety of sizes. The Limted Edition images are offered in their original size along with a Certificate of Authentication. Street Scape in the City of Orange, CA. 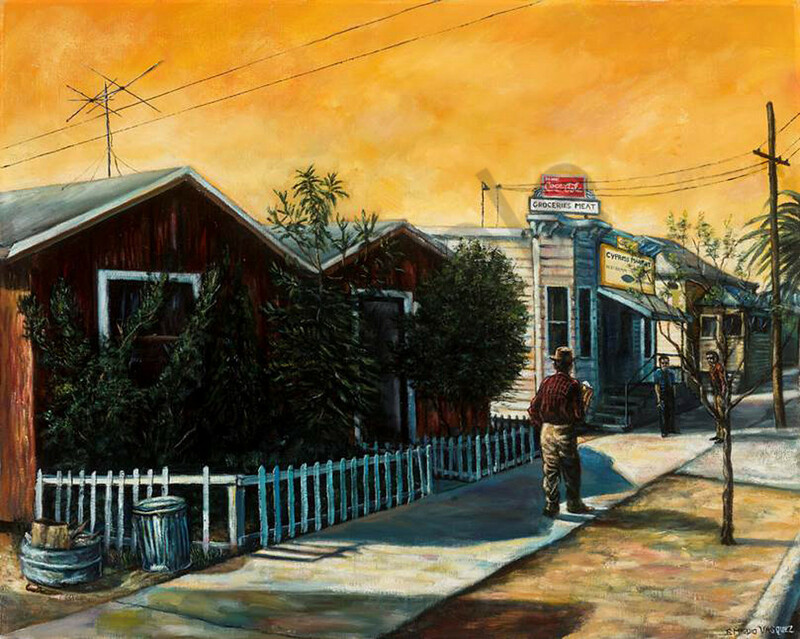 Oil painting of Barrio Orange at sunset with a resident walking to local grocery store. © Copyright 2018, Vasquez Art All Rights Reserved.